This is Scott author and trainer on several books and courses on Microsoft Office products. But even more importantly, I’ve actively used PowerPoint in real-world situations for many years. With each new version of PowerPoint, I’ve not only learned what is new for myself and my own benefit, I’ve built my skills to help teach others and to train many of my colleagues. In this course, you’ll get the benefit of that experience in addition to learning the basics for how to use PowerPoint. You’ll gain some tips and tricks and learn to avoid common pitfalls people encounter when they’re using this program. But by using my unique “look over my shoulder” training method, we’ll work together as if you are sitting right next to me looking over my shoulder. Instead of just going through the interface, tab by tab, learning individual functions we will build a complete presentation from scratch using the features of PowerPoint to complete the task. 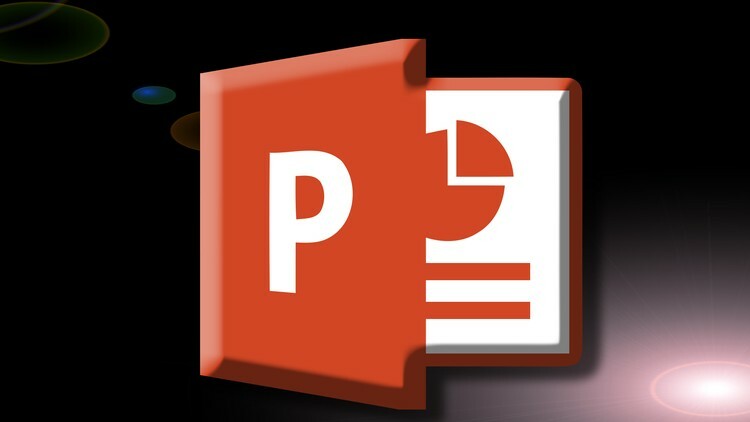 You will quickly discover how to make PowerPoint work the way you like to work. Let’s take a glimpse of what I’ll be covering in this course. For starters, we’ll create a presentation from scratch, adding slides, bullets, and photos to help convey your idea. I’ll show you how to use and customize the built-in themes and templates, and photo effects to create professional-looking presentations with very little effort. Then we’ll cover animating your slides and providing transitions between them that will add a touch of class to your presentation. We’ll cover rehearsing and timing your presentation and I’ll give you tips on how to present. Armed with your laptop and a mouse, you can become a dynamic speaker with PowerPoint, illustrating your ideas on a screen. The ideal student for this course is either a complete beginner or someone who uses PowerPoint regularly but doesn’t really use too many of the features, maybe creating new slides and typing out the presentation, (maybe changing fonts, bullet points, saving and printing) but doesn’t really know how to customize all the features in PowerPoint to get that professional looking presentation, regardless of whether you’re presenting in the class room or the board room. This course is also ideal for someone who uses an older version of PowerPoint and wants to see the new features in action.